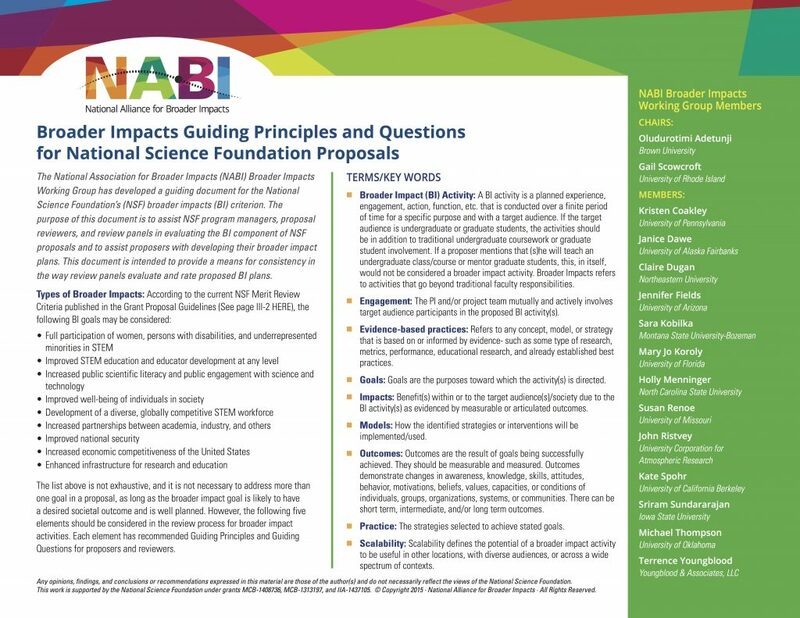 The National Alliance for Broader Impacts has recently put out a “Guiding Principles and Questions for National Science Foundation Proposals” informational PDF. 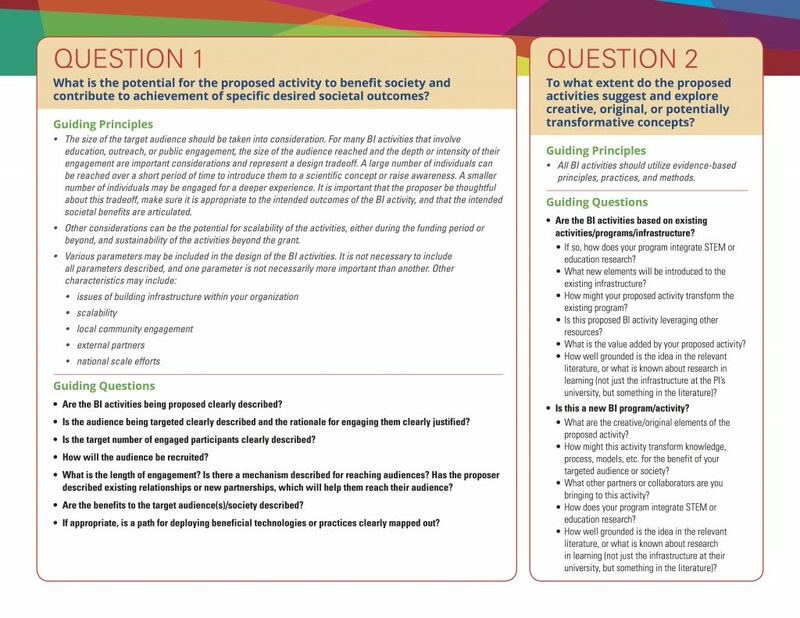 It provides great info if you’re thinking of broader impacts for a NSF proposal as well as if you’re thinking about broader impacts for any other purpose! 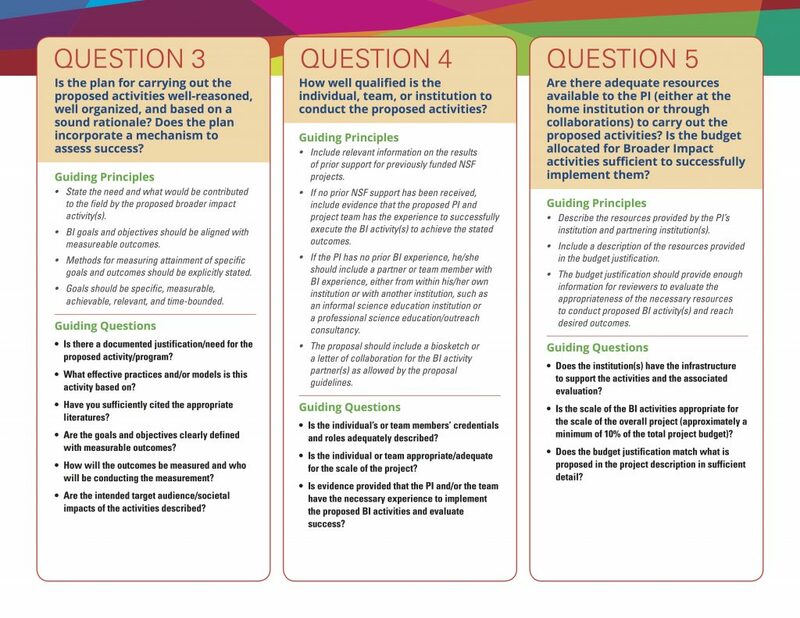 There is also a push for NSF review panels to use the NABI handout as a guideline when reviewing grants, so it’s worth checking out!